HTC is all set to unveil its next big thing, the HTC U12+ and we have already got an official release date. Although the company didn’t reveal anything else about the upcoming phone, we have already learned quite a lot thanks to all the rumors roaming around the internet. 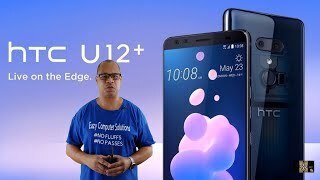 Before we get to the specs, we will take a look at the HTC U12+ Nigeria price first. From what we have learned from the rumors so far, the HTC U12+ will cost around ₦ 299000 if not more. Although HTC did reveal phones with near bezel-less display, we are yet to see a flagship from HTC to show up with this look. 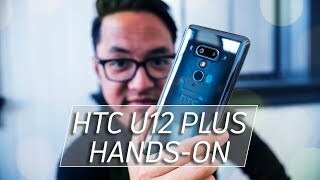 As we have already seen some leaked pictures of the HTC U12+, it’s safe to say that the phone will have really thin bezels and the use of Liquid Surface will only add to the built quality and premium look of the phone. While the glass finish of this phone makes it super attractive, it’s prone to fingerprints as well. As for the display, it will be a 5.99-inch one showing 2960 x 1440 pixels resolution, 18.5:9 aspect ratio and 550ppi of pixel density. It will be protected by the latest Corning Gorilla Glass 5 and the phone will be IP68 certified as well for dust and water resistance. Just like the HTC U11+, this one won’t be including a 3.5mm headphone jack as well. 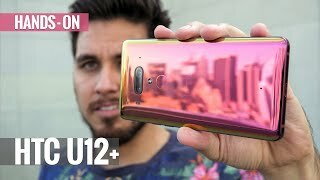 We don’t know much about the colors yet and will have to wait for the HTC U12+ release date Nigeria to find out more. Unlike its successor, the HTC U12+ will show up with not one but two cameras on the back. Things are looking good on paper as one of the cameras will be a 12-megapixel one with f/1.5 aperture while the other one will be a 16-megapixel one. It will be capable of capturing 4K videos and 1080p videos at 120fps. The front camera is also rumored to be a dual 8-megapixel one with f/2.0 aperture. 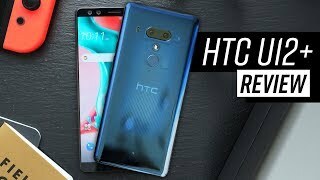 As the phone is not here yet, that’s all we will get before the HTC U12+ release date Nigeria in the camera department. If you are interested to check out some more camera focused phones, there is the Samsung Galaxy S9 Plus and Huawei P20 Pro. These are almost in the same price range as the HTC U12+ Nigeria price. 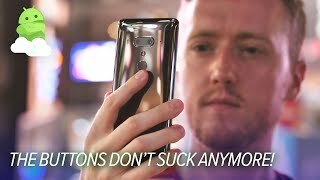 The HTC U12+ is expected to be available sometimes in May or June, 2018. 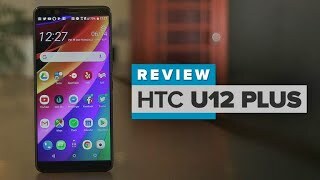 As the HTC U12+ Nigeria price is quite high and you already know the expected time for this phone to show up, it will be a good idea to start saving for this phone. 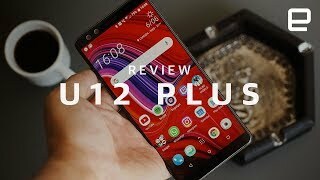 The u12 plus Mobile Phone is manufactured by HTC and was added around May 2018 and is part of the HTC U12 Plus series.